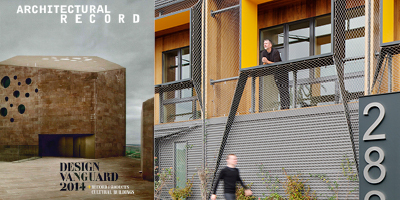 description: We are thrilled to announce that Merge Architects has won Architectural Record’s 2014 Design Vanguard Award! “Architectural Record’s annual Design Vanguard issue brings together the architects who are already doing some of the most innovative work in the field and will lead the profession in the future. They are the firms at the forefront of design and the architects are the ones to watch.” We are honored to be acknowledged alongside a group of tremendous young firms doing some truly innovative work.